After an eventful March that included a secondary offering, an unexpected new drug approval by the FDA and a more than 50% increase in its share price, Retrophin (RTRX) in my opinion still remains undervalued. 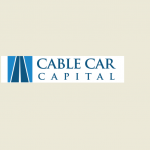 With biotech valuations getting frothy, fellow value investors might be surprised to learn that one of Cable Car’s largest long positions is a controversial pharmaceutical company focused on developing and commercializing therapies for rare diseases. Unlike biotech specialists gambling on the odds of drug approval, I prefer to invest in biotech only when the potential value of the drug development pipeline is in my opinion not reflected in the share price. I believe there are occasional opportunities to purchase a portfolio of proven commercial assets at a discount to fair value, along with a free or very inexpensive call option on new approvals. That is how I viewed RTRX during periods of management change and business transition that provided an initial entry point last year, and it is still how I view the company today. I value RTRX on the basis of the recurring earnings from its existing commercial products. RTRX revenues today are primarily generated through the sales of two commercial products: Thiola and Chenodal. Thiola is a medication for a condition that causes recurrent cystine kidney stones, and Chenodal is an off-label treatment for a rare bile acid disorder. My research effort has focused on understanding the two diseases and treatments, the therapeutic alternatives, and the potential markets. In brief, my research suggests that patients are reliant on Retrophin’s products, medical opinion leaders value the treatments highly, and there are meaningful barriers to competition. Because Retrophin’s drugs treat very rare diseases, insurers have consistently been willing to pay six-figure amounts per patient for an annual course of treatment, yielding very high gross margins. In addition, there is potential for RTRX to identify new patients and increase the penetration of both therapies among underserved populations. Combined, these factors contribute to substantial recurring gross profits with significant growth potential. In January, RTRX scored a coup by purchasing the rights to cholic acid (Cholbam), a treatment for other bile acid disorders. Cholbam had not yet been approved by the FDA, and RTRX paid only $5 million upfront for an option to acquire the full rights for up to $73 million in the event of approval and subsequent milestones. On March 17, the FDA approved Cholbam with a very broad label allowing use in several pediatric bile acid conditions with a much larger addressable market than Chenodal. Unexpectedly, the approval also provided RTRX with a transferable Rare Pediatric Disease Priority Review Voucher. Prior sales of similar vouchers have exceeded the entire purchase price for Cholbam. In effect, Retrophin acquired a potentially very significant new source of revenue for free. I believe the value of the income stream from Thiola and Chenodal alone justified the market capitalization prior to these events. Remarkably, when I add similar calculations on the potential patient population and pricing of the Cholbam, I arrive at very similar valuation multiples as before. Even after accounting for dilution from the $149.5 million secondary offering, RTRX still appears inexpensive on the basis of likely product sales over the next few years. Retrophin has now transitioned from a company with significant high-interest rate debt and limited covenant headroom to a far less risky business with a net cash position and significant operational flexibility. With material upside potential from any positive developments in the pipeline, similar valuation, and dramatically reduced downside risk, it warrants close attention from investors. These investments may or may not be currently held in client accounts. The reader should not assume that any investments identified were or will be profitable or that any investment recommendations or investment decisions we make in the future will be profitable.